The valley of Hadramawt is situated in Yemen, in the south of the Arabian Peninsular.Since members of the blessed Prophetic household settled in the Valley in the fourth century of the Hijrah, it has been a centre of sacred knowledge and the attainment of spiritual perfection. In this remote valley, and particularly in its spiritual capital, Tarim, the Prophetic legacy was preserved and nurtured and then carried to the far cor- ners of the earth. Beginning with the first of the descendants of the Prophet sallaLlahu alayhi wasallam to settle in Hadramawt and looking down the centuries to recent times, “Imams of the Valley” examines the lives of a few of these illustrious figures. It is hoped that this book will enable the reader to increase in love for the family of the Messenger sallaLlahu alayhi wasallam and for the pious, which is one of the foundations of Islam. All praise is due to Allah, Whose bounty is limitless, and peace and blessings be upon His Beloved Muhammad and upon his pure family, noble Companions and all those who follow their path until the Last Day. Love for the family of the Messenger sallaLlahu alayhi wasallam and the pious members of his Ummah is one of the foundations of this religion but attainment of this love requires knowledge. 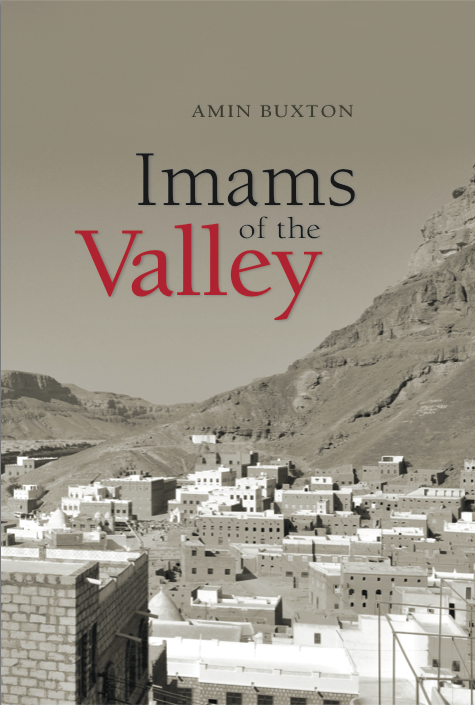 The following pages are an attempt to acquaint the English speaker with some of the greatest Imams of the ‘Alawi Way, who made the Valley of Hadramawt their home. It is hoped that this acquaintance will lead to love for them and attachment to them, and be of the utmost benefit in this life and the next. The way of these Imams was to prefer obscurity and they are probably better known in the Heavenly realm than on this Earth. However, there is a need for us to come to know them. Volumes could not do justice to any of the Imams mentioned here and words cannot express the stations which they reached. However, it is hoped that such an introduction can be a door leading to greater things. Some of the teachers and pupils of each Imam are mentioned to illustrate the importance of the concept of sanad, the unbroken chain which connects Imam to Imam and preserves the purity and authenticity of the knowledge which they transmit. Dates are generally given in the Hijri calendar, although some corresponding dates are given. We thank Allah for the presence of those who embody the way of these great Imams in the times in which we live. At their forefront is sayyidi Habib ‘Umar bin Hafiz and Habib Abu Bakr bin ‘Ali al-Mashhur, who represent the final link in this amazing chain. We have recently lost the physical presence of Habib “Sa`d” al-`Aydarus but his memory lives on. May Allah reward Shaykh Munir Ba Zuhayr, who, along with the forementioned, was the inspiration for this work. May Allah also reward Shaykh Abdurragman Khan and Shaykh Riyad Saloojee for their assistance. May Allah preserve them and increase them. Is this book available in pdf format or any website? Or is it just the hard copy? I did find the link.